Can Razer’s first router cut the need for Ethernet? Razer is a brand that's synonymous with gaming products, thanks to its wide range of gamer-centric laptops, peripherals and other devices, and today the company's adding a new product category to its arsenal with the introduction of its first ever router, Razer Sila. Sila is an 802.11ac AC3000 router that, like many others, will let players manually prioritize bandwidth to specific devices on their network, which Razer claims can provide PC, console and mobile gamers alike with lag-free gameplay, even over a wireless connection. Alternatively, users can take advantage of Razer's FasTrack technology, which employs smart traffic management and adaptive learning to let the router work its prioritization magic automatically in Gaming Mode. According to Razer, Sila's Multi-Channel ZeroWait DFS technology will scan and automatically skip over congested Wi-Fi channels and switch you over to the best available ones, which is done by utilizing "radar-sensing hardware that grants you exclusive access into normally-restricted bandwidth frequencies." 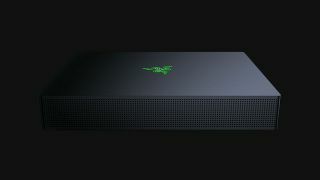 Users with two or more Razer Sila routers will also have the option of activating a tri-band mesh network with dedicated backhaul – three Razer Sila units are said to provide widespread coverage of up to 9,000 square feet, or multi-storey coverage of up to 6,000 square feet. Sila management is handled via dedicated iOS and Android apps, which will let users configure their Wi-Fi network in a clean and straightforward manner. Razer's Sila was developed in collaboration with Ignition Design Labs, which was responsible for 2017's impressive Portal WiFi router. Priced at $249.99 (£279.99 / AU$439.95 / NZ$499.95), the Razer Sila gaming router can be purchased right now directly from Razer's online store.